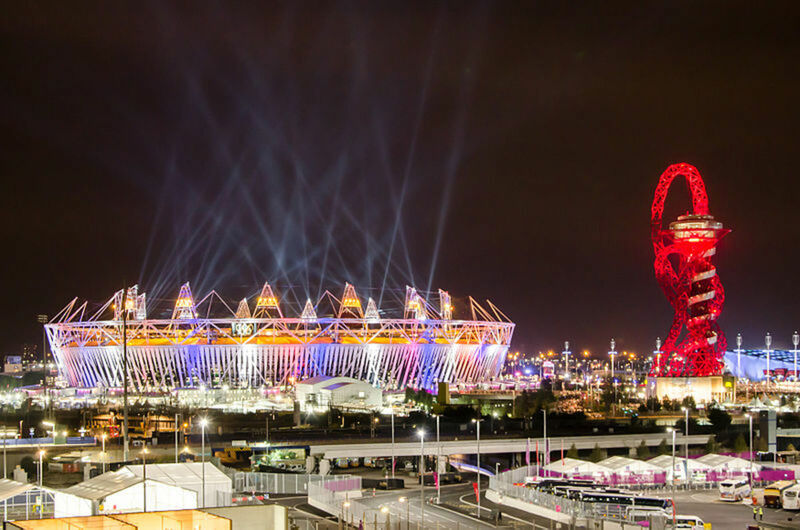 Ever since Kenya participated in Olympic Games for the first time in 1956, it has continued to do so and has sent athletes to compete in every Summer Olympic Games since then. Amazingly, Kenya, a country that has no tradition in winter games, has previously sent participants to the Winter Olympic Games. In total, Kenya has managed to bag a total of 78 Olympic Games medals from athletics and boxing only, 24 of those being gold medals, not much compared to other countries like USA and China but still much for a country like Kenya. Going to the Olympics is every athlete dream wish in the sporting career and Kenyan athletes take this opportunity very seriously, if the number of world class athletes witnessed at the Olympics trials in Nairobi is anything to go by. The London Olympic Games will take place in London from 27th July to 12th August 2012 and the Kenya National Olympic Committee selected the Kenyan team on trials held in Nairobi from 21st to 23rd June 2012 in front of adoring fans of about 20,000.
International media termed these trials as a mini-Olympics in athletics as any athlete who qualify in Kenyan trials for an Olympic ticket especially in middle and long distance races will certainly make it to the finals at the Olympics. You will be amazed that in Kenyan trials, the competition is so high that there are heats, quarter finals and semi-finals to accomplish before an athlete can make it to the finals. The trials were reading as “who is who” in the Kenya athletics as top cream athletes battled for the London Olympics tickets. The Kenyan trials are thrilling to watch and the battles are always between the internationally experienced athletes versus the upcoming young athletes hungry to make it into Kenyan team and hence to the world limelight. 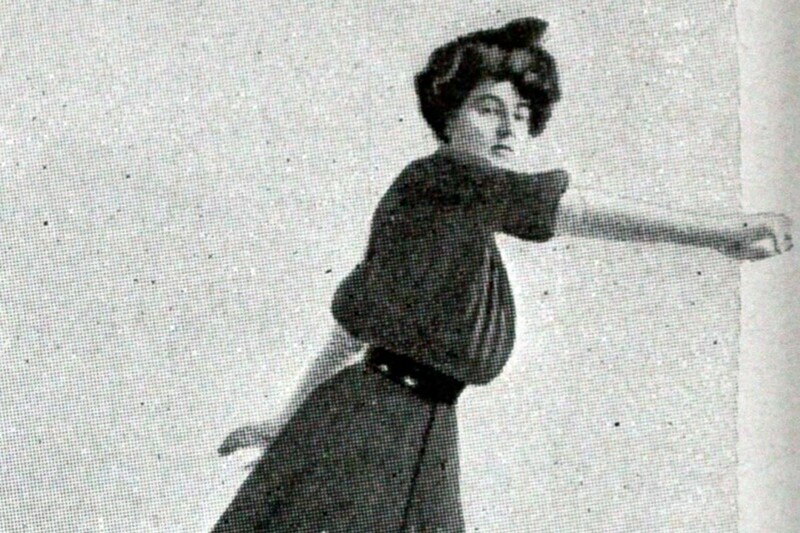 The trials maintained their established tradition of surprises, heartbreaks and upsets. 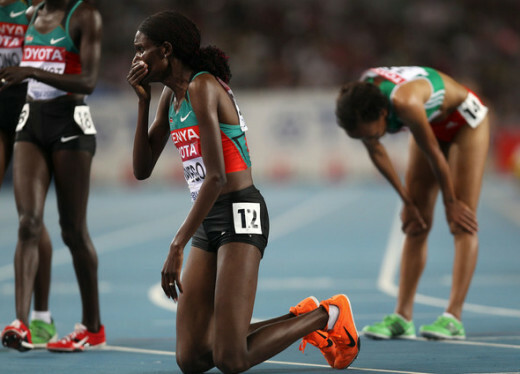 At the end of it all, the trials claimed their share of big names that saw Olympic dreams shuttered in unforgiving fashion as the final pieces of the Kenyan London 2012 jigsaw fell into place. 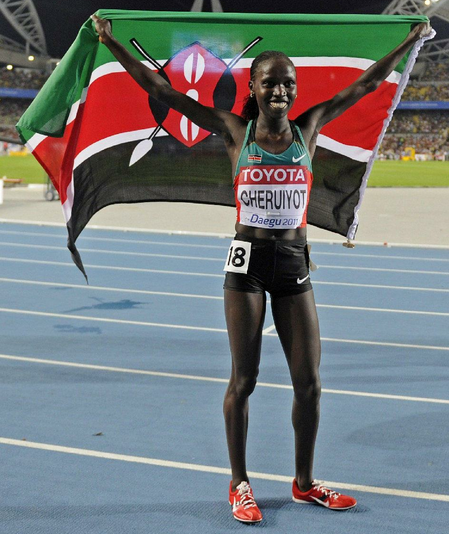 In 5,000m women race trial, double world champion in 5,000m and 10,000 in Daegu 2011 Vivian Cheruiyot demontrated her scorching desire to be a double Olympics champion by outclassing a star studded field of finalists to cruise to the finishing line first in a time of 16:08.08. 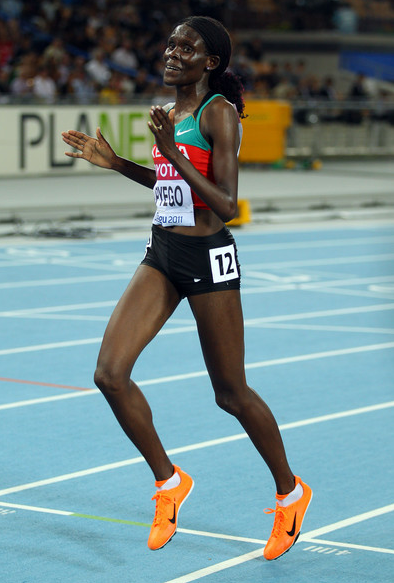 Second honor went to USA based Sally Kipyego with a time of 16:09.49. Sally, who went to Texas Tech USA for her education and has won major championships in USA as part of Texas Tech Red Raiders, had to wait for four years to make it into Kenyan team. When she finally did in 2011, she came second to Vivian and won a silver in her 10,000m debut in Daegu World Championship. After the trial race, Vivian Cheruiyot revealed that she was not pushed to her limit and expressed her joy to make the Kenyan team especially because she always wanted to compete against Ethiopian best Tirunesh Dibaba. Dibaba has been off for most of the season since she won double gold medals in Beijing Olympics but now she is back. It will be thrilling to watch the double world champion battle it out with the double Olympic champion at London Olympics Games this summer. Vivian Cheruiyot and Sally Kipyego will also double up in 10,000m race. The trial in 5,000m race was a fierce battle that formmer world champion Linet Masai missed out of the Olympic team as she dropped out with stomach cramps . Her place was taken by Viola Kibiwot, herself an accomplished international athlete with vast experience and Beijing Olympics 1500m finalist. 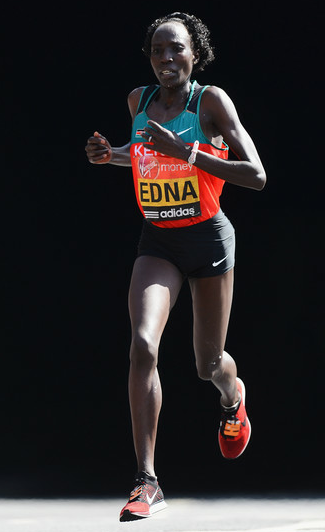 The battle at the London Olympics in this race will certainly be between Kenyans Vivian Cheruiyot, Sally Kipyego, Viola Kibiwot and Ethiopians Meseret Defar, Gelete Burka and Sentayehu Ejigu. The men version of the same trial event was won by Isaiah Kiplagat. This race witnessed a blistering pace set by World Cross Country junior champion Geoffrey Kipsang Kamworo that Kiplagat clocked a time of 13:09.08, the fastest ever ran on Kenyan soil, a high altitude record. 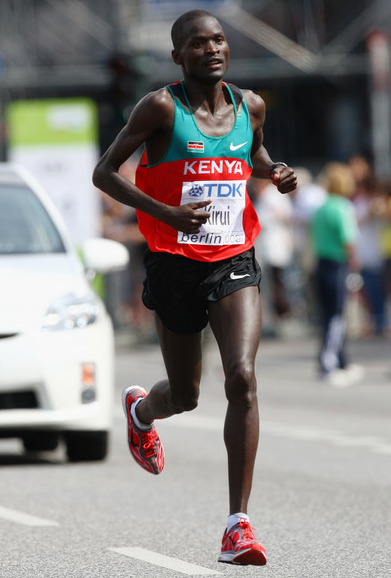 Edwin Soi came in second in a time of 13:11.11 while compatriot Thomas Longosiwa, sixth finisher in Daegu last year, came in third with a time of 13:11.28. Notable miss out here was Olympics silver medallist Eliud Kipchoge who also previously missed out in the 10,000m team in Oregon, USA. In this race at the London Olympics, watch out for Kenyans Isaiah Kiplagat, Edwin Soi, Thomas Longosiwa, Ethiopians Kenenisa Bekele and Sileshi Sihine, USA Kenyan born Bernard Lagat, Mo Farah of Great Britain, Ugandan Moses Ndiema among others. 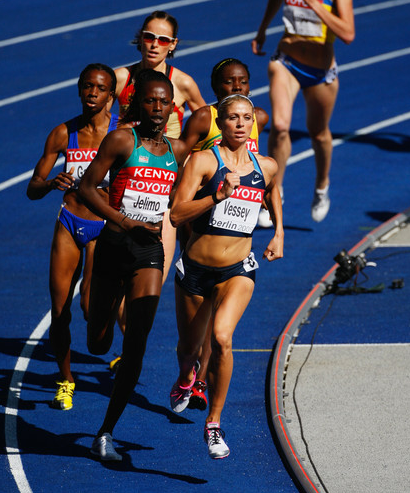 The women 800m trial race in Nairobi was another thrilling race to watch. As usual, upcoming athletes attempted to steal the show from reigning Olympic champion Pamela Jelimo and fommer world champion Janeth Jepkosgei. The darling of the crowd in this race was Pamela Jelimo who was vociferously cheered all the way to a dominant 1:58.48 victory. Jelimo has been off season with injuries since winning the Olympic gold in Beijing but she has recovered now and off late she has been on form. She has won several Samsung diamond league meets and she should be the favourite at the Olympics, but it will take more than just being on form to win the gold. 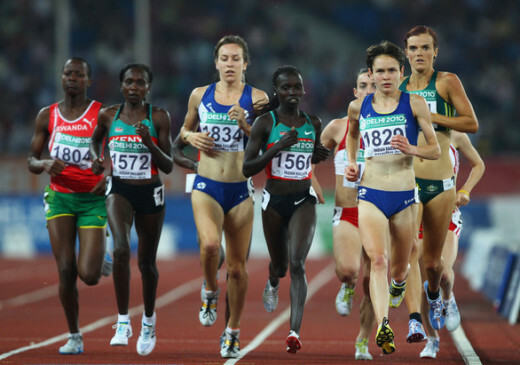 2007 World Youth champion, Winnie Chebet was rewarded with the much needed London Olympics ticket when she came in second in a time of 2:00.33 while former world champion Janeth Jepkosgei completed the line up. Watch out for Kenyans Pamela Jelimo, Winnie Chebet, Janeth Jepkosgei, South African Caster Semenya, Mariya Savinova, Yuliya Rusanova and Yevgeniya Zinurova of Russia, Jennifer Meadows of Great Britain, Maggie Vessey and Alysia Montano of USA, Ethiopian Fantu Magiso and Kenia Sinclair of Jamaica. The trial organizers slotted in the men's 800m trial as the last race of the programme specifically to wrap up an enthralling day of track action, it was a race which was termed as “King David against the others”. 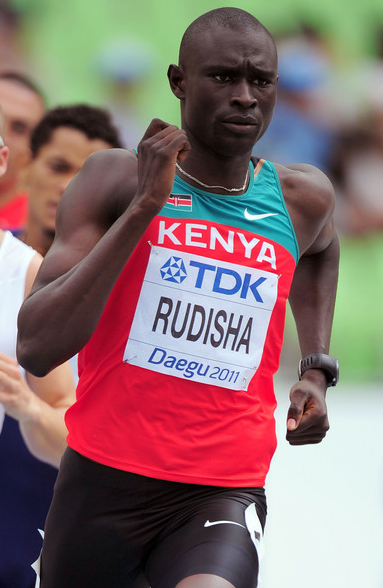 World champion and current World record holder in 800m David Rudisha displayed a front running masterly with a devastating pace to win the race. The favorite Rudisha, with an unobstructed front running view, pounded the track to smash his own high altitude record from 1:42.84 to 1:42.12, a fit that will surely send shockwaves coming to the Olympics. The world record holder has the world reading time this year of 1:41.74 that he set in New York and will double up in London as he was also named in the men 4x400m relay team. His father Daniel Rudisha was in the Kenyan 4x400m relay team that won Silver in Mexico Olympics of 1968. 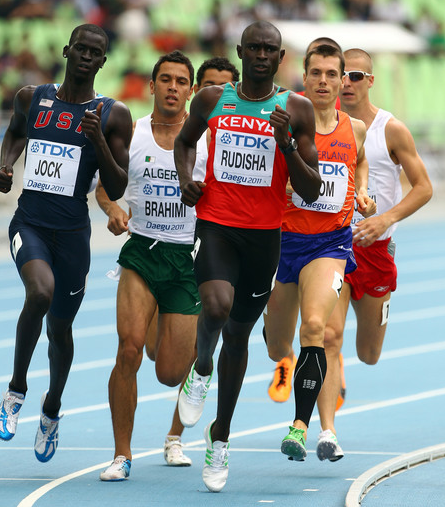 Job Kinyor with a time of 1:43.94 came in second in 800m while world youth championships bronze medalist Timothy Kiptum was third. Of notable miss out was the Olympics bronze medalist and 2007 World champion, Alfred Kirwa who came in sixth. In this race at London Olympics 2012, watch out for Kenyans David Rudisha, Job Kinyor, Sudanese Abubakar Kaki, Yuriy Borzakovskiy of Russia, South African Mbulaeni Mulaudzi , Ethiopian Mohammed Aman, Nick Symmonds of USA, Andrew Osagie of Great Britain, Bram Somalia of Netherlands, Mahfoud Brahimi of Algeria and Marcin Lewandowski, Adam Kszczot both of Poland. Kenya’s team in 10,000m men will be represented by Wilson Kiprop, Moses Masai and Bidan Karoki. Although Kenya has waited for too long for gold in this race, it will be thrilling to see if they will overcome their perennial Ethiopians rivals. The Kenyan team in this race was selected earlier in Oregon, USA. 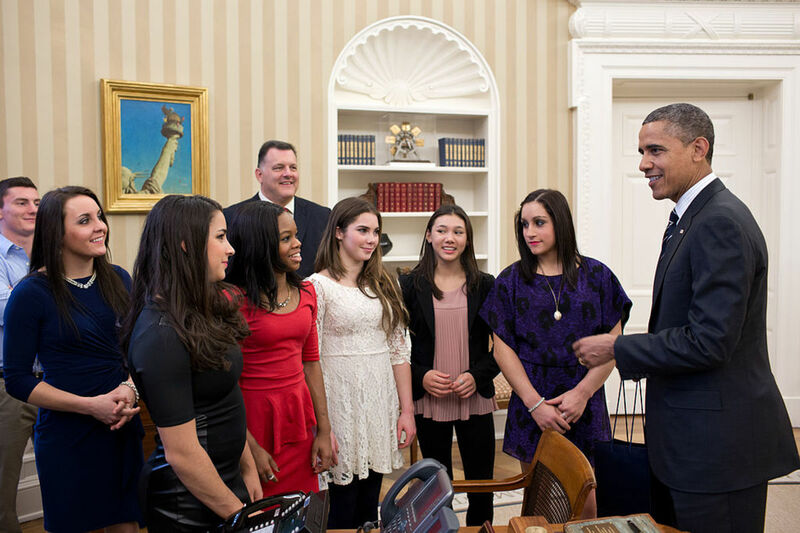 It was a move aimed at deviating from the norm to select the best team under stiff competition. Over a couple of years, Kenyans have lost grip of this race to Ethiopians so watch out for Ethiopians Kenenisa Bekele, Tariku Bekele and Ibrahim Gashu being pushed by Kenyans Wilson Kiprop, Moses Masai and Bidan Karoki, Mo Farar of Britain and Galen Rupp of USA, but I will not put my bet entirely on Ethiopians given the new tactics that was employed to select the Kenyan team. 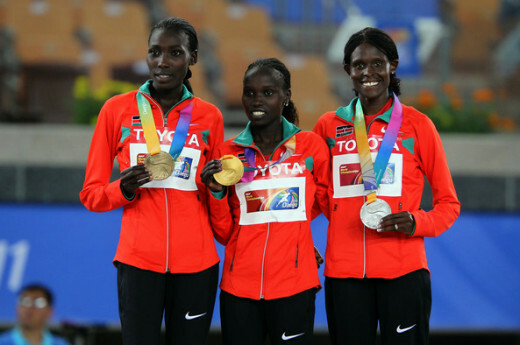 The Kenyan team for 10,000m will comprise of Vivian Cheruiyot, Sally Kipyego and Joyce Cheruiyot. 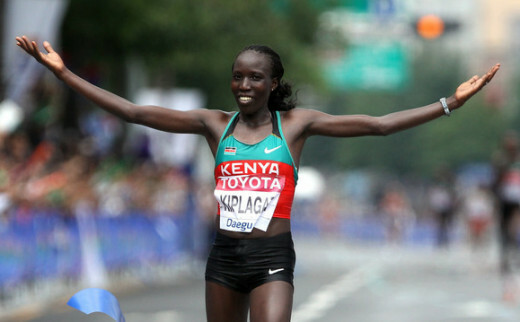 Both Vivian Cheruiyot and Sally Kipyego will also compete in 5,000m and try to make it a double at the London Olympics. Linet Masai, the long strides girl, couldn’t make it. The trials were just too hot for her although she will have consolation in that her brother, Moses Masai, made it in the men’s team. Watch out for Kenyans Vivian Cheruiyot and Sally Kipyego, Ethiopians Tirunesh Dibaba, Meselech Melkamu and Werknesh Kidane, Elizaveta Grechishnikova of Russia and Shalane Flanagan of USA. 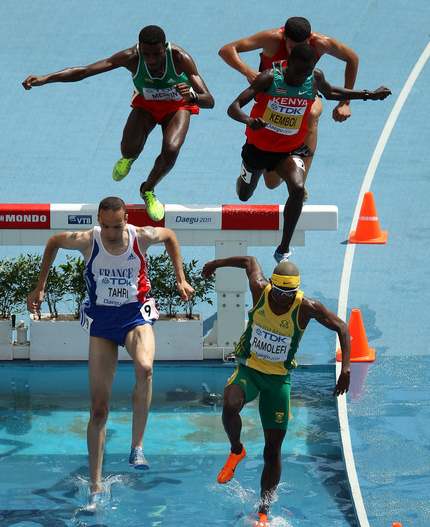 3,000m steeplechase men trial race was another eagerly awaited show. This is a race that Kenya has never lost since 1968 Mexico City Olympic Games although Kenyans have come into increasingly stiff competition from French runners and former Kenyans who now runs for other countries mostly in Middle East countries. The first slot to London went to reigning Olympics 3000m Steeplechase gold medalist, Brimin Kipruto with a time of 8:11.73. 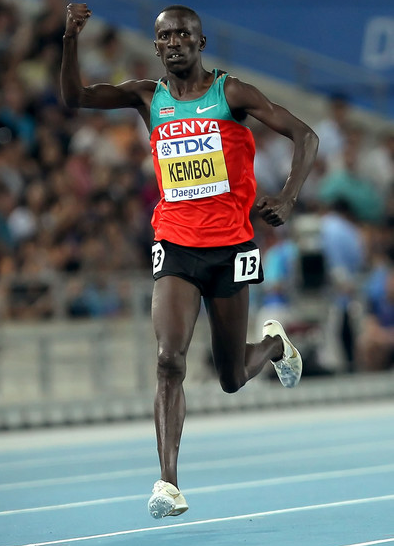 But it was Ezekiel Kemboi, the current world champion and Athens Olympics champion, who stole the show by re-enacting his famous jig from Daegu to throw the stadium into frenzy. Kemboi came in second with a time of 8:12.82 followed by Abel Mutai (8:13.47) who claimed a surprise Olympics slot by trailing the pair. Commonwealth, Continental Cup and African Steeplechase champion, Richard Mateelong, who won bronze in Beijing did not make it as he came in fifth same for Paul Kipsiele Koech as he succumbed to his chronic high altitude sickness and missed an Olympic ticket yet again. Watch out for Kenyans Brimin Kipruto, Ezekiel Kemboi, Abel Mutai, French Mahiedine Mekhissi and Bouaddellah Tahri, Ruben Ramolefi of South Africa, Roba Gari of Ethiopia and Benjamin Kiplagat of Uganda. In the 3,000m steeplechase women, London Olympics tickets went to Commonwealth champion and twice Worlds bronze winner Milcah Chemos who won the trial race in a time of 9:32.75, African bronze winner Mercy Wanjiku Njoroge came in second while the third ticket went to Lydia Chebet. Kenyans Micah Chemos, Mercy Wanjiku Njoroge, Lydia Chebet and Gulnara Galkina-Samitova and Yekaterina Volkova of Russia, Sofia Assefa of Ethiopia and Habiba Ghribi of Tunisia. Beijing Olympics titleholder Asbel Kiprop produced a late homestretch lunge to avert being the headline failure of the trials in a race that was won by World silver medalist Silas Kiplagat in a time of 3:37.60. The second ticket went to Nixon Chepseba (3:38.00) while Kiprop came in third with a time of 3:38.30. Given that Kiplagat, Kiprop and Nixon Chepseba are the top three in the latest World season list, they should be favourite in this race but watch out also for USA Bernard Lagat, Deresse Mekonnen of Ethiopia and Kenyan born Yusuf Saad Kamel of Bahrain. 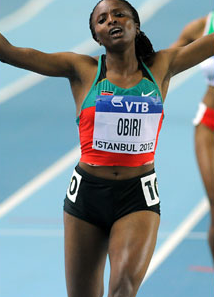 In women version of 1,500m, the first London ticket went to World Indoor champion, Helen Obiri in a time of 4:06.10. Daegu 800m finalist, Eunice Sum (4:07.19) was second while World Youth champion, Faith Chepng’etich (4:08.53) came in third to grab the last ticket. 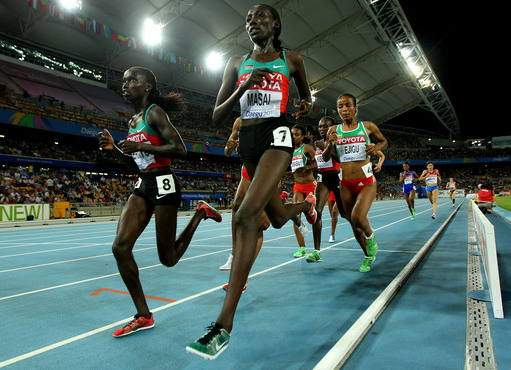 Those who could not make it in this race included Nancy Jebet Langat, the women 1500m Olympic champion in Beijing who could not start the race due to knee injury. Watch out for Genzebe Dibaba of Ethiopia, Ibtissam Lakhouad of Morocco, Morgan Uceny of USA, Kenyans Helen Obiri, Eunice Sum and Faith Chepng’etich. Kenya men marathon team comprises of Daegu World Marathon champion Abel Kirui, this year London Marathon champion Wilson Kipsang and World silver medalist Emanuel Mutai. Of late, Kenyans have dominated the world major marathon races and they should be the one to watch out being pushed by other countries. Notable mention in women's marathon are Britain Paula Radcliff who was training with Kenyans, Ethiopians Atsede Baysa, Dado Firehiwot, Bezunesh Bekele and Beyene Tsegaye, French Christelle Daunay, Yukiko Akaba, Azusa Nojiri of Japan among others. 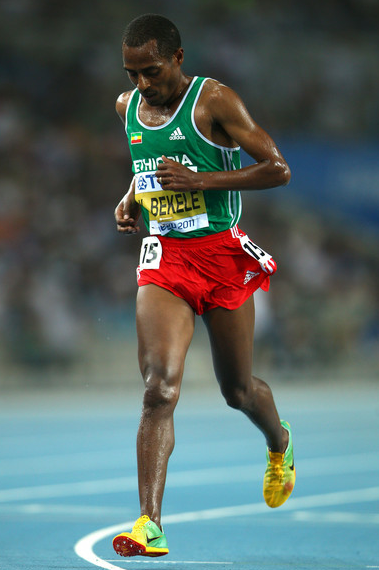 Notable in men's marathon are Tsegaye Kebede and Yemane Adhane Tsegay of Ethiopia and Jaouad Gharib of Morocco. Kenya will also be represented in 4x400 men relay race, in men Javelin by Julius Yego, two boxers, flyweight Ben Gicharu and female boxer Elizabeth Andiego and also in swimming by Dunford brothers, Jason and David. Hi polyn, Thanks for the visit and comment. You can get Kenya Team Tshirts and their prices here: http://www.cafepress.com.